Concorde could do it in around three hours, while today’s passenger planes take around seven. However, if a test of the unmanned X-51A WaveRider aircraft goes without a hitch on Tuesday, we could one day see flights between New York and London taking as little as an hour. Taking off from Edwards Air Force Base in California’s Mojave Desert, the plan is to carry WaveRider – a hypersonic aircraft developed by the US Air Force, Boeing and engine maker Pratt and Whitney, and financed by NASA and the Pentagon – on the wing of a B-52 plane over the Pacific Ocean to a height of 50,000 feet. It’ll then detach from the B-52 and embark on a five-minute flight at speeds of up to 4,500 mph. WaveRider has been tested before, though its most recent flight, in June last year, ended in failure when the engine was forced to shutdown due to an airflow problem. 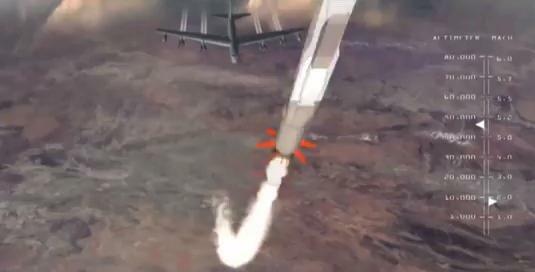 If all goes to plan this time, however, the hypersonic aircraft will end its flight by breaking up and landing in the Pacific after around five minutes of flight, which may seem like a funny way to end a “successful” flight but in this case, it’s the length of the flight that’s the key factor. Engineers working on WaveRider say the aircraft’s technology could be used in next-generation space aircraft, military aircraft, missiles and yes, passenger planes too. 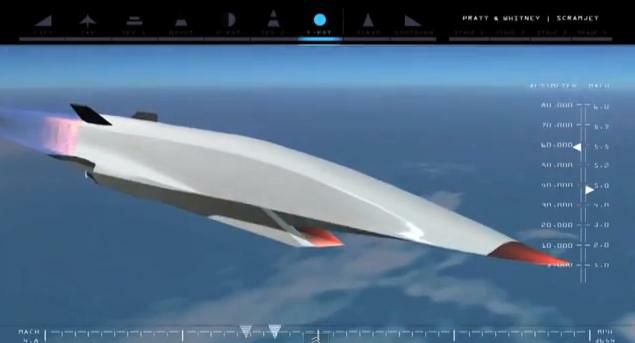 Dora Musielak, a high-speed propulsion expert based at the University of Texas, told the LA Times WaveRider could one day lead to hypersonic passenger plane flights. No doubt 60-minute flights between the US and Europe are a long way off, but should Tuesday’s WaveRider test prove a success, we could find ourselves one step closer to a much smaller world. We shudder to think how much a ticket will cost, though.